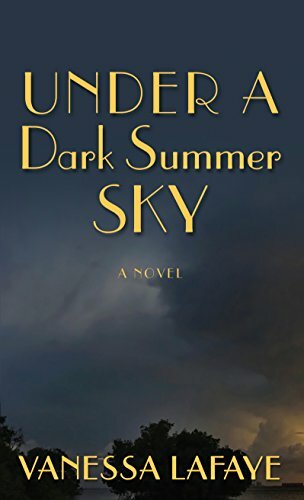 9781410482099 | Large print edition (Thorndike Pr, August 19, 2015), cover price $30.99 | About this edition: Under a Dark Summer Sky is a stunning debut novel, at once a love story set in a time of great turmoil and a vivid depiction of a major natural disaster. 9780399219627, titled "The Fairy Doll" | Philomel Books, January 1, 1998, cover price $14.95 | also contains The Fairy Doll | About this edition: As the youngest in the family, Elizabeth is slow and clumsy and always in trouble until she is taken in hand by the Fairy Doll that usually decorates the top of the Christmas tree. 9781492612506 | Sourcebooks Landmark, June 9, 2015, cover price $14.99 | About this edition: Under a Dark Summer Sky is a stunning debut novel, at once a love story set in a time of great turmoil and a vivid depiction a vicious hurricane. 9780553213225, titled "A Doctor's Visit: Short Stories" | Reissue edition (Bantam Classic & Loveswept, July 1, 1988), cover price $3.50 | also contains A Doctor''s Visit: Short Stories | About this edition: This book presents some of Anton Chekhov's finest short stories in the best translations available.